Patience is a virtue they say. Good things come to those who wait. But I happen to be a rather last-minute kind of girl and a little on the forgetful side. Forward-planning doesn’t come naturally to me. This sloe gin is a case in point. I had every good intention to make friends and family bottles of sloe gin for Christmas presents this year. We have a large blackthorn in the garden, which has been bursting with berries this autumn. I thought I had plenty of time. However, here we are, already in mid-November and my sloe berries are still sat in the freezer having been picked at the weekend, and of course sloe gin takes at least two months (preferably three months) to make. So then I thought, well I can cheat. There’s always a shortcut to everything these days, isn’t there? I Googled ‘quick sloe gin’ and found a couple of posts suggesting you could bake the sloes for a little while in the oven to get the maceration going. But when I looked through the reader comments, I wasn’t impressed to see remarks about “ending up with jam rather than gin” and “what a waste of good sloes”. Here is the sloe gin we bottled last autumn. It really is beautiful stuff. Sweet and syrupy, almost medicinal-tasting, it must surely be good for you? I love to drink mine neat, or in a gin and tonic. And here is how I made it last autumn. You can picture me making it again this weekend, giving us something to look forward to come the New Year, once all the festivities are over. There’s really not that much to it. It’s simply a waiting game. Prick the skin of the sloes with a needle and pop them in a large sterilised jar or bottle. Pour in the gin and sugar, seal tightly and give it a really good shake. Hide it away in a cool cupboard and shake every couple of days for the first week. Then shake it on a weekly basis for the next two to three months – the longer you leave it the better. Finally, use muslin to strain the sloe gin into sterilised bottles. If you’re over here in the New Year Elly, you can try some of this year’s batch! Thanks Deena. You’re so right. The colours of food are so important and evocative. And the colour of sloe gin is just incredible! Enjoy if you do! Are you making more this year? … that reminds me! You’re not the only one who is lacking in forward planning skills – I have damsons in the freezer that were going to be soaked in gin ready for the Christmas cake… Christmas of next year might be more realistic! Enjoy your sloe gin when you do get to drink it! Very impressed that you have some sloe gin from last Autumn left! I always end up breaking into it early, have no idea what it tastes like if you leave it the full recommended time. But I too have some untouched sloes in the freezer, maybe I should make another batch so there’s some to drink at Christmas and some to last well into next year. Oh we don’t actually have any left from last autumn – these are just the photos I took when we opened it. I’ve had them sat in a file all year, waiting for sloe to come into season again so I could blog about them! No, the sloe gin all disappeared within about a week of us opening it! 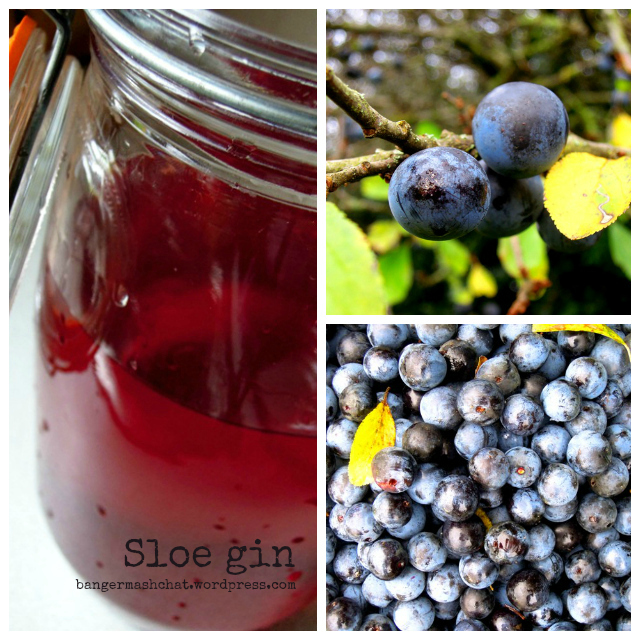 Love your photographs, and love love sloe gin! 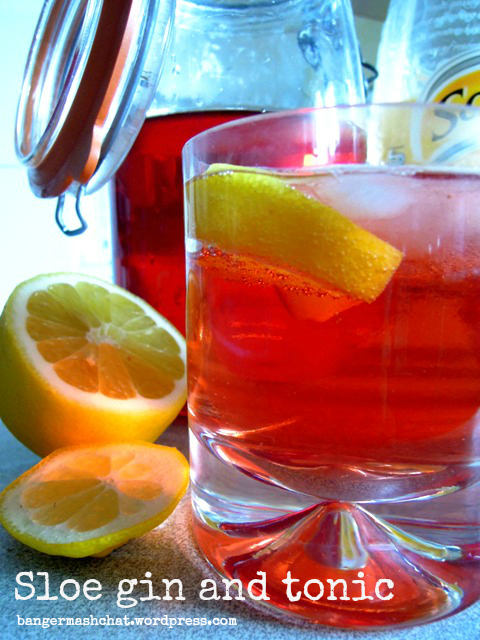 If you want another idea try a Sloe Vespa, sloe gin topped up with prosecco…..
Big sloe gin fan here! Love it just neat with ice, but it is a tad too alcoholic to drink much. Maybe I should add a little tonic too!